This stunning new construction condo in Hawthorne offers a luxurious space at a great value. This unit is one of 48 in the gated Garden Square development. Centered around a fully landscaped courtyard complete with trees, sitting areas and lighting, this community is your Oasis in the heart of the city. Enter into your brand new home and immediately notice the natural lighting from the floor to ceiling windows. 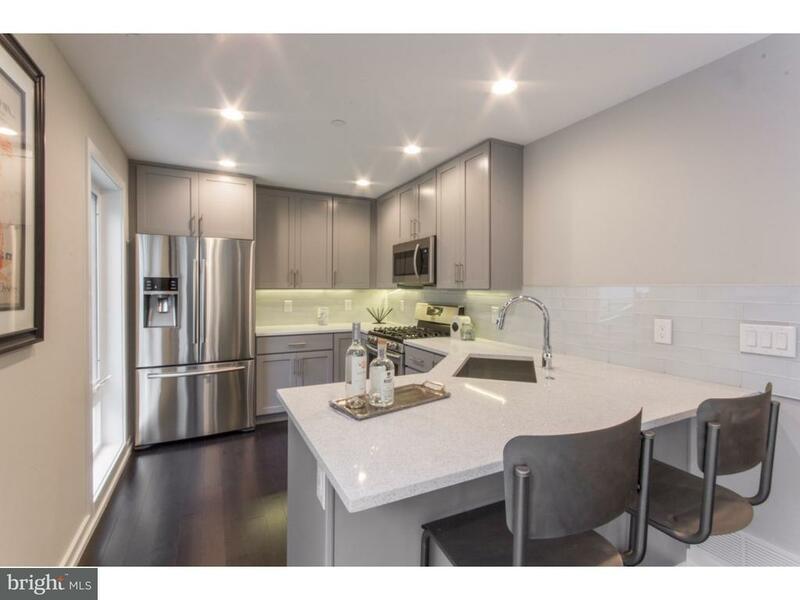 Step across the fine hardwood flooring to your modern kitchen, featuring all brand new Samsung appliances, quartz counter tops and ample cabinet space. NEST Thermostats, speakers and security alarms are just some of the many features of this condo. Each unit pre-wired for both Comcast and Verizon Cable/Internet, so Owners have their choice! All bedrooms feature hardwood flooring, large closets and recessed lighting. The full bathrooms provide you with fantastic tile throughout, tub, shower and vanity. Prime Location! This property provides easy access to restaurants, shopping, schools, public transportation and much more. Easily walk to the Broad Street Subway, Avenue of the Arts, Center City, and Thomas Jefferson Hospital. Close to I-76 and I-95 for an easy commute out of the city. Dont miss a great opportunity to live in this one of a kind community.